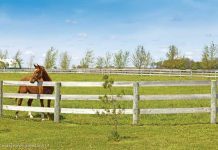 Farnam Vetrolin Shine high-luster coat polish and conditioner puts a brilliant shine on coats and detangles manes and tails. Includes sunscreen to help prevent bleaching. 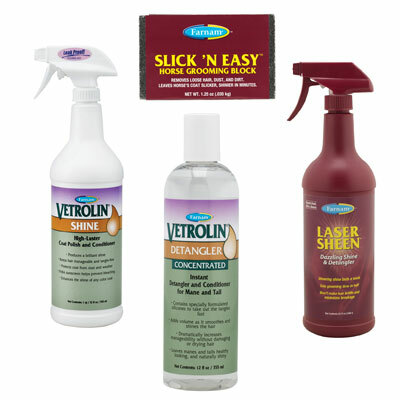 Farnam Vetrolin Detangler leaves manes and tails tangle-free with a healthy-looking shine. Farnam Laser Sheen Dazzling Shine & Detangler produces a show-ring shine that lasts a week in just one application. Also detangles manes and tails, leaving them shinier and more manageable. Farnam Slick ‘N Easy Horse Grooming Block removes loose hair, dust and dirt for a slicker and shinier coat.